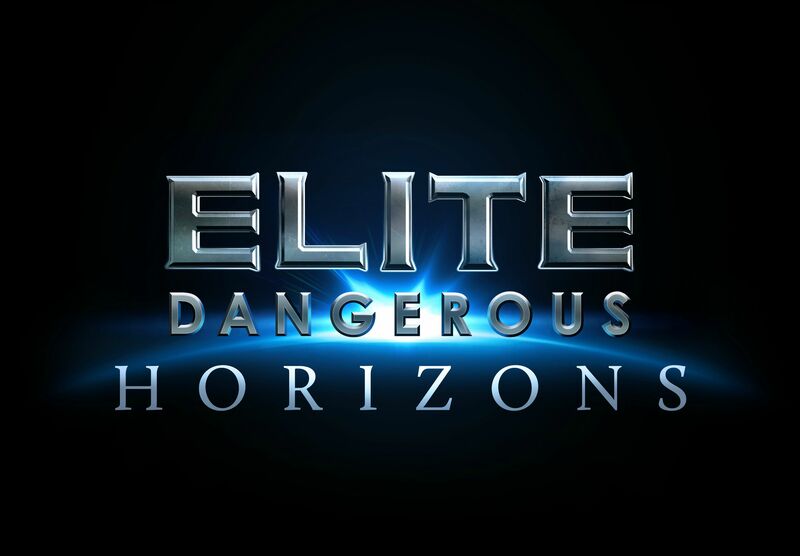 The below information is a quick start guide for Elite Dangerous: Horizons beta - you can also learn a thing or two by watching our archived livestream about the Horizons beta basics. What Do I Need To Make Landfall? First, you’ll need a ship fitted with a planetary landing suite module – but that’s OK, if you own Horizons, every ship you own will now have one fitted! That’s all you need to enter orbital cruise and drop down into planetary flight. If for some reason your ship is not fitted with a planetary landing suite, you can purchase them in outfitting. To drive on a planet’s surface, you’ll need to fit a planetary vehicle hangar module. You can find these in outfitting at ports. Once you have a planetary vehicle hangar, you need to install vehicle bays in it. Vehicle bay slots show up right underneath the planetary vehicle hangar in outfitting. Different size hangars will allow more or less vehicle bays. Each vehicle bay allows your ship to carry a single SRV, and comes with a vehicle when fitted. Be aware though, if this SRV is destroyed, you’ll need to purchase a replacement for the vehicle bay. You can do this from any port, starport or outpost, from the Restock docking service. How Do I Get to An Airless Planet? Firstly, it’s important to remember that not all planets can be approached. You can tell if a planet supports planetary activities by looking at it in the Contacts Tab or System Map – it will have a small, blue landed ship icon. Once you’ve found a suitable planet, simply super cruise towards it. Target the planet to summon information showing maximum speed for a safe transition into Orbital Cruise, a special mode of super cruise when you are very close to a planet. If you are traveling too fast when you hit the orbital cruise transition height your ship will perform an emergency drop. Orbital cruise is an adjusted version of super cruise. It lets you fly around a planet much faster than would normally be possible using the frame shift drive. To engage orbital cruise, simply fly towards a suitable planet. As you approach the ship HUD will summon an Altimeter, Attitude Ladder, Heading Indicator and Rate of Descent indicator. The altimeter shows your height from the planet surface. Notches on the altimeter also show orbital cruise transition height (the OC marker) and, when you get lower down, the orbital cruise drop out height (the DRP marker). The attitude ladder shows your pitch angle compared to the planet surface, with zero degrees being parallel with the surface. The rate of descent indicator shows how quickly you are losing or gaining height. When the rate of decent indicator bar displays red your rate of descent is dangerously fast. When in orbital cruise, a section of the attitude ladder around zero degrees will turn blue. Holding this angle will boost your speed past normal orbital cruise speeds, allowing you to orbit the planet very quickly. When you descend to the orbital cruise drop out height, you will initiate an orbital glide maneuver. Glide is a flight procedure that allows your ship to cover great distance when transitioning from orbital cruise to normal flight. Glide will only be engaged if your ship’s pitch is between 60 degrees negative and 5 degrees positive from horizontal flight. Pitching down further will cause the frame shift to perform an emergency drop. Pitching up further will simply abort the glide and enter planetary flight. Other than these limits, glide will automatically end when close to the planet surface. What’s Different About Planetary Flight? Planetary flight is very similar to normal flight. However, there are a few key differences! At slow speeds, more manoeuvring thrust power is diverted into ventral thrusters to help provide lift for level flight. As a result, other manoeuvring thrusters have reduced effectiveness under load. Also expect minor loss of stability when facing the surface. As an automatic safety feature, if your ship pitch is within 30 degrees of horizontal and you are travelling slowly it will automatically attempt to pitch towards level flight. How Do I Land And Take Off? First deploy your landing gear. Slowly approach the surface until the sensor disc displays your vessel schematic above terrain rendering. When you are directly above an area that can safely support your ship, a small disc projected onto the terrain rendering from your vessel schematic will turn blue. Additional HUD elements help you to correctly pitch and roll until your ship has the correct attitude for landing. When your ship has the correct attitude, reduce height to complete the landing procedure. Once landed, your ship’s drives will cut out. To take off, apply and hold vertical thrust to engage your drives and lift off. How Do I Manage SRVs? Once correctly outfitted, your ship can carry Surface Reconnaissance Vehicles. Your ship has been updated to reflect SRV capacity: UI focus + UI Down will now take you to the role switch interface. Here you can manage SRVs. When you are landed, you can deploy an SRV using this interface. Likewise, when you are in an SRV and under the cargo hatch (you can tell because the Board Ship indicator will light up) you can use this interface to get back in the ship. Finally, using this interface you can recall your ship to your current location. Be aware, this option will not be available if you are too close to a settlement or port. How Do I Use Ports? Ports are ground based equivalents of starports. When in a ship you should treat them exactly the same. You’ll need to request docking, and should refrain from committing crimes if you want to stay safe and welcome! When in your SRV, if your ship is docked at a port, you’ll need to request docking to get back to it. After docking has been approved, follow the nav-compass – it will lead you to your designated garage. Once in the garage, you can use the role switch interface to board your ship. Be aware: if your ship is docked at a port, you cannot recall it to your location if you are within a few kilometers. You will need to move further away from the port or request docking to get back to your ship. How do I operate the SRV? First, make sure your bindings are correct. If you use custom bindings, you’ll need to add SRV bindings. Alternatively, use a default binding scheme (which has SRV bindings set up) then customize as appropriate. The SRV shares many concepts and elements with your ship: modules, power distributor, shields, fuel, fire groups. The SRV is driven using throttle and roll controls. When on the floor, roll equates to steering. When in the air, roll becomes roll. You can engage or disengage Drive Assist: When disengaged you have direct control of the throttle and brake. When engaged, throttle operates the same as in a ship, by setting a desired speed. The SRV is equipped with jump jets. Activating these thrusters uses ENG capacitor energy. Ground collisions ignore SRV shields. When falling, try to use jump jets to slow descent and avoid hull damage. The SRV consumes fuel. Fuel is automatically refilled when you dock at any port. Drive slower and turn off modules to reduce drain on the SRV fuel supply. The SRV features neural-linked turret. Whilst controlling the turret you can still drive. Likewise, when driving, you can still target entities and fire the turret with limited gimbal. The turret uses WEP capacitor energy and ammunition. The SRV features a data-link scanner. The data link scanner is a special scanner that you can use in turret mode. It allows you to connect to targeted entities, often activating contextual commands. To use the data link, target an entity then hold the appropriate fire group activation binding. The SRV features cargo scoop and storage for two universal containers. Simply deploy the scoop and drive over cargo to pick it up. The SRV features a Wave Scanner, displayed directly above the sensor disc. The wave scanner is a forward arc passive scanner that can detect signatures from a variety of objects. Each signature is comprised of a number of on/off elements, arrayed vertically in the scanner display. Different objects have different patterns of on/off elements. Signatures at distance will be indistinct and large. As you approach, they will shrink and gain definition. Synthesis is new ship and SRV functionality that allows you to generate resources in situ. Synthesis uses materials, a new type of resource, found initially only on planet surfaces. Check your cargo tab to view synthesis options. If you have the correct materials, you can initiate synthesis for a specific module by selecting it in the module tab.